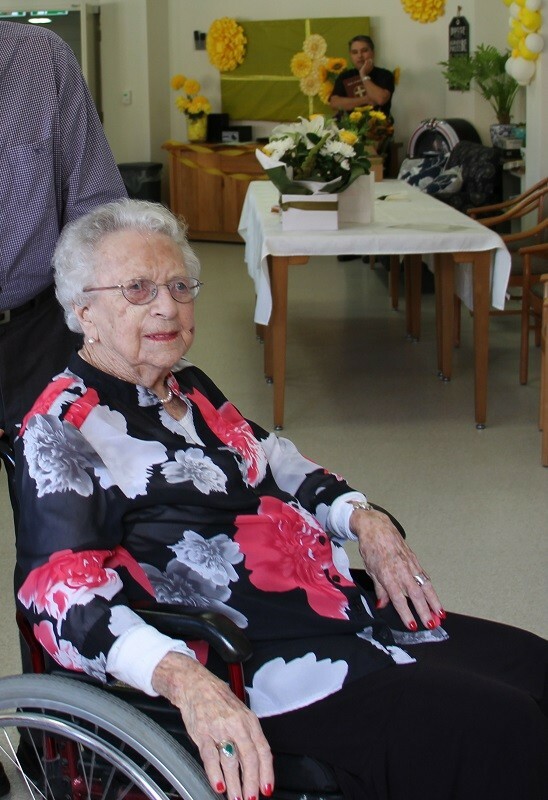 Parishioner, Mrs Sylvia Arnett celebrated her 108th birthday with a morning tea and a special blessing from Fr Peter at Garden Village on Monday April 11. 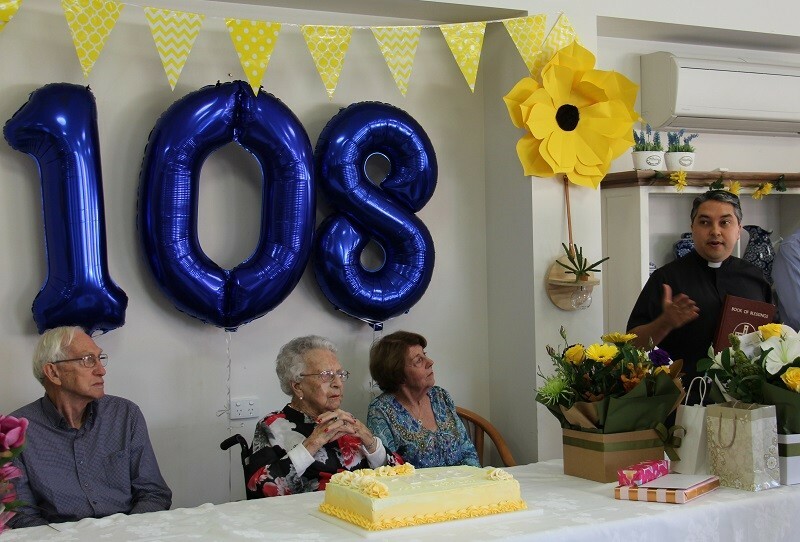 Sylvia, born in 1911 in Bannaby near Goulburn, is Port Macquarie’s oldest resident as well as being the eleventh oldest person in Australia (the sixth oldest woman and the fifth oldest Australian-born person). She has 4 children, 13 grandchildren and 19 great-grandchildren. Sylvia’s caring nature and wonderful sense of community spirit, shows in the strong relationships she has with all who know her. Grandson, Michael Arnett, says God is an integral part of her life. Sylvia moved to Port Macquarie more than 45 years ago with her husband Norm (who passed away in 1986), where they dedicated themselves to the service of others, working tirelessly for our local St Vincent de Paul as well as other charities in the town. Sylvia, a non-smoker, is often asked the secret to long life and in response says, “every day is a good day”. Below is a poem, Sylvia’s friend, Bessie Jennings, wrote for her 108th birthday. to add, subtract and multiply; to read and write and spell. She learned to wash and dress herself, to brush and comb her hair. She learned to speak politely and was never heard to swear. stay friendly and play happily – take turns, and share their toys. Our Sylvia learned that God is love, and God is always good. She learned to pray and share God’s love with people that she met. The first time I met Sylvia, I never shall forget. This little lady crossed the road – and there we chanced to meet. I’ve met a lonely man who has no friends to visit him. And that’s how I met Sylvia – an angel, would you say? Well, that was many years ago. She’s still like that today. She’ll always make you welcome – you’ll feel really glad you came. She says thing like “You’ve made my day!” She’s always been the same.